2012 July » Embroidery Talk Has Moved! I think I did a Friday Blog Round-Up on Friday the 13th a few months ago as well. That seemed to work out o.k. First on the list today isn’t a blog post, it’s a product announcement from EnMart. We have released the details of a top secret project on which Black Duck Inc’s Erich Campbell and I have been working. The product is called Q-104 and it’s a water soluble topping which creates a 3-D effect with loose stitches. This stuff is awesome! You can see all the details and pictures on EnMart’s facebook page. If you want to stay in the loop as to when Q-104 will be available, make sure you like our page if you haven’t already. 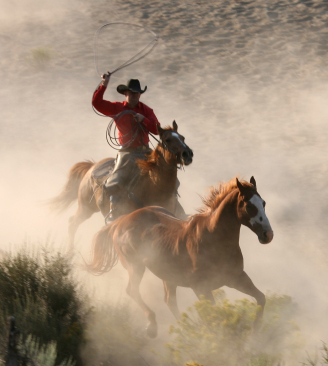 Second on deck today is Erich Campbell’s great post about taking photographs of your work. All the photos of the Q-104 that are on the EnMart Facebook page (not to put in another plug) are the work of Erich and his wife, who is a photographer. They take beautiful photos and the tips Erich gives in his post will help you do the same. Third at bat is a post from Retail Minded about how to revitalize the downtown shopping district of your town. As big box stores have come in, a lot of smaller boutiques and specialty shops have faded into the sunset. Many downtown districts are now a sea of empty storefronts or stores that are open but not kept up very well. The whole atmosphere provides a less than exciting shopping environment. Nicole’s post offers some ideas for turning your downtown area back into a place where people like to shop, and most of them are quite easy to implement. Fourth on the docket we have a post from Urban Threads showing the results when the same designs are hand embroidered and machine embroidered. Like them, I don’t want to get into an argument about which discipline is better, because I think both hand embroiderers and machine embroiderers create awesome work. I just like this post because I think it’s fun to see how different methods and different people interpret the same basic design. Finally, I want to point you to a post about a couple named Herb and Dorothy. I love this post because it points out the fact that if you’re willing to forge your own path and do your own thing, you can create an extraordinary life. For those who don’t know Herb and Dorothy Vogel are a couple who had a modest middle class life. What made them special is that they had a love of art, and they collected it, one piece at a time until they had 4,782 works of art in their apartment. Eventually they donated it all to the National Gallery of Art, but that’s not the important part. What’s important is how and why they did what they did. Apparently there’s a documentary about them. I’m definitely going to find it and watch. Those of you who like our Facebook page (and what’s not to like), already know that tomorrow we will be announcing a new product which will be debuting at the NNEP Embroidery Mart the end of this month. Since one of the uses for this blog is to give you an inside look at how EnMart works, I thought it might be fun to give you a little information about how we find new products, and how we choose what gets added to our product offerings. 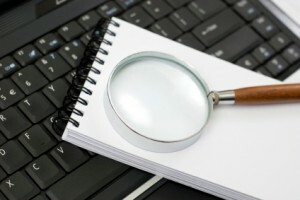 Information about or offerings of new products can come from any number of places. Our suppliers, of course, offer us new products as they become available. EnMart customers often suggest products they would like to see us carry, and we always take those suggestions into consideration. Sometimes, because hey, what company doesn’t, we’ll see something one of our competitors has done and think it’s cool and work to do something similar ourselves. We also have had products added to our line or created as a result of a good old fashioned brainstorming meeting, where we sit at a table and bat around ideas for new products and packages. Inspiration can come from anywhere. Once we have a new product under consideration we’ll look at how it fits in with existing product lines and with our existing areas of expertise. One of the great things about EnMart is the fact that we have access to a lot of experts, both on our own staff and among our supplier partners and friends of EnMart. This gives us the ability to evaluate a new products from several angles, and helps us ensure that what we offer is the best product we can offer. Finally, once a product has been tested and discussed, we will add it to our product offerings. The quickest way to learn about any new product offerings EnMart may have is to follow us on Facebook and Twitter and Pinterest. You should also bookmark our website, as the latest information will always be there. Also, if you have a product you’d like to suggest that we consider for addition to the EnMart product line, you can always leave a comment on any of our social media pages, or this blog, or simply contact us with your suggestion. First on the list today we have a post called “The Cost of Creativity” which is about how to calculate the costs of running your business for a year. It’s fairly simple to do, but knowing these costs and what you need to bring in to cover them is the best way to keep your business open and successful. Creativity is definitely a part of the embroidery business, but business is a part of it too, and you need to know the numbers to keep your business running in the black. Second at bat today is a bucket list for new embroiderers from Eileen at Designs in Machine Embroidery Magazine. This list details some things that every new machine embroiderer should try and hopefully master. I think my favorite is number 3, simply because it looks cool. There will, apparently, also be a bucket list for advanced and expert embroiderers coming out in another blog post sometime soon. Third on the docket, we have 10 tips to help increase embroidery production from Joyce Jagger. Some of these are fairly simple, but they’re so simple they may be the things that people forget to do. I like the tip about stopping production early on Friday and doing preventative maintenance on your machines. I also like the tip about duplicating tools. You should never be running all over the production floor looking for scissors or some other tool you may need. Fourth in the queue is another Urban Threads Featured project post, this one on how to make embroidered shoes. Even though I know I will never attempt any of these featured products, I love seeing what other people do and this project is no exception. Making your own shoes from scratch and embroidering them is very cool. I also love the step by step tutorial for others who might want to try the process. Fifth on the list is a post about what you’re willing to do with the followers you have on any social media platform. The message of the post, which I love, is that you, as a business, have a responsibility to those who follow you. Doing things like asking people to follow or like you to get a prize, tweet about a product in order to get that product, or really to do anything that isn’t motivated by serving the people who are willing to give you their time and attention. It’s about respect and authenticity, and once you start shilling to your followers for your own gain, you’ve lost both. Lots to think about in this post. If you live in the United States, you know that tomorrow is Independence Day. 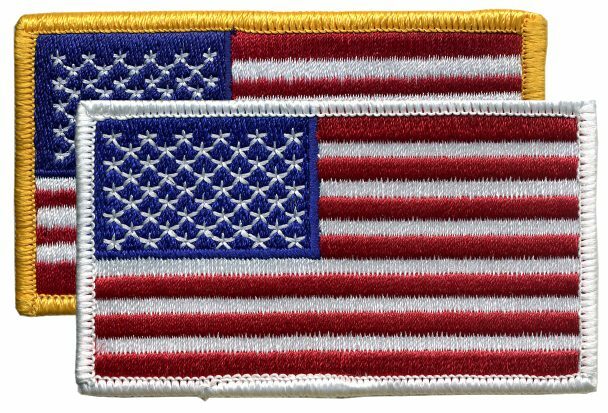 A lot of embroidery design companies have been offering their patriotic designs in honor of this holiday for a while now. EnMart offers a red, white and blue Fourth of July thread palette. 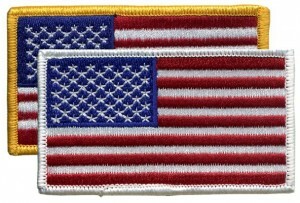 We also carry embroidered American flag patches with white or gold borders. As lovely as these items are, however, the fact remains that those who do holiday themed embroidery are already looking beyond the Fourth of July to what comes next. If you’re one of those embroiderers, EnMart does have items to offer for other holiday themed embroidery. HALLOWEEN – Scary witches, goblins or tombstones can come to life with our Halloween Thread Palette. Consisting of six Halloween specific colors, from Ectoplasm (Bright Green) to Jack-o-Lantern (Orange) this palette will help you embroider many Halloween related designs. EnMart also carries Puft 3D Embroidery Foam, which can help make your ghosts and ghouls stand out. For those who want personalized trick or treat bags, you could order EnMart’s sublimated patches with a Halloween themed design and then double sublimate them with each trick-or-treater’s name. THANKSGIVING – Turkeys and Pilgrims will love our Thanksgiving palette which contains 6 5500 yard cones of Iris Thread as well as one mini cone each of gold and silver metallic. Whether you’re embroidering an autumn table runner for the Thanksgiving table, or cute tea towels with a Thanksgiving theme, this palette will be of help. CHRISTMAS – Christmas may be the ultimate embroidery holiday, since there are so many gifts that can be embroidered. EnMart’s Christmas Thread Palette will get you the basic colors you need for Christmas themed embroidery, plus gold and silver metallic thread to add that special shine. If you’re embroidering gifts, you may want to look at our variegated thread which can add a pop of color and uniqueness to any design. For those who have an embroiderer in their life who needs a Christmas gift, don’t forget the Iris thread kits. Whether you’re embroidering a ghost or a ghoul, a turkey or a teepee, a Christmas tree or a Christmas gift, it is likely that EnMart has the supplies you need. 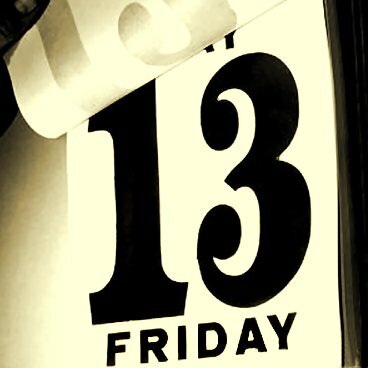 Make sure you bookmark our store and check back often. We add new items on a regular basis.